Wainilu Beach is located on the northern side of Wainilu Island. 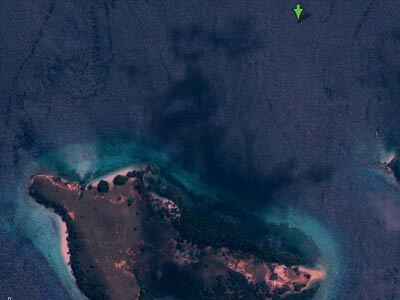 This small island (about 600 x 200 metres) is located in a bay at the northern end of Rinca Island (Puklau Rinja - home to the Komodo dragons). An approximate GPS mark for the dive spot is 8º 37' 31.1"S 119º 42' 35.8"E (using WGS84 as the datum). The site is located about 500 metres to the south-west of the GPS mark. The actual site is located off a small beach on the north-western corner of the island. The site is black sand which slopes from five metres down to at least 25 metres. As with virtually all dive sites that you do when on MV Mermaid II, you use the RIB (rigid inflatable boat) to get to the start of the dive (and also to get back to the boat). The RIB will drop you normally about 50 metres off the beach. We started at the western end of the beach. Once in the water, we dropped to about six metres and then gradually descended to about 18 to 20 metres. Like many other of the dive sites on this trip, although it is a sandy bottom, there is an amazing amount of marine life to be found. We swim very slowly, spread out to enable us to spot more critters. 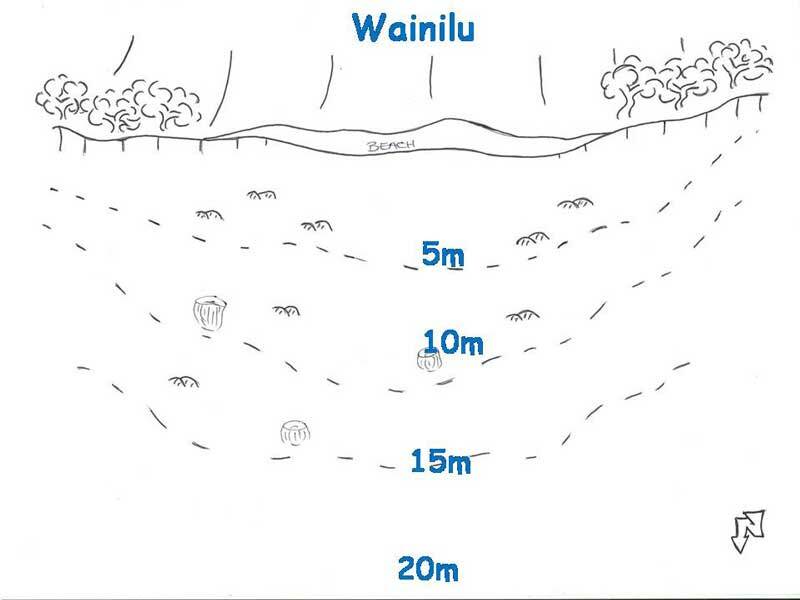 Once at 20 to 21 metres we turn east and swim across the bay in front of the beach. We go very slow, not just to take our time looking at things, but because there is so much to see. The bottom has some small coral outcrops and in between there is a sort of algae. We find small cuttlefish, mainly hovering just over the sand. There are also a lot of bob-tailed cuttlefish, tiny, only about 10 mm long at the most. They hide in the sand and if you get them out, inevitably they have grains of sand stuck to their back. There are also lots of fire urchins, very colourful in themselves, but also home to an amazing animal that has a symbiotic relationship with them. Each one has a zebra crab living amongst the spines. On the sand there are gurnards, a small firefish which has orange and black "wings", many species of shrimp, a Spanish dancer and three striped pipefish. There were also dozens of species of nudibranchs. We move very slowly and when we reach the other end of the beach we come up a little shallower to 18 metres and go back to the west. After 50 minutes we head back to the shallows and spend the last five minutes or so doing a safety stop in the shallows. Even here there is plenty to see. This was a brilliant night dive with so many exciting things seen. I wish we could have spent longer on the dive, but night dives had a limit of 60 minutes for obvious reasons. The visibility was probably 20 metres and the water temperature was about 27ºC. Click here to return to see the dive profile from my computer. A short video that I shot when on this dive. Look especially at the second clip of the pipefish when it lunges at something and eats it and at the large anemone at the end which catches at least three small fish.